An interesting and engaging graphic novel about an artist and art. It started with a depressing and self-pitifying protagonist. There lots of lows, but as it reached the end, there were some wonderfully rendered and expressive moments in this novel. I particularly enjoyed David’s relationship with Harry. I liked those moments the most. While I liked Meg, I found that the author – as did David – treat her more as a muse rather than a fully, fleshed out character. She had too many shades of the Manic Pixie Dream Girl. I wanted to know more about her truly. Overall, a good graphic novel and I enjoyed the themes of art and life. I am halfway through this series now. It’s been a long time since I’ve read a series this long. Even with taking breaks with other books and taking my time, this has been a long experience. My usual issues with the series and Novik’s writings continues: Laurence is still stuffy, plot picks up much faster after half way point, and not enough female characters. However, this novel made up for it by being much more suspenseful and interesting because of the African plot. The book was much darker as a result since it dealt with the slave trade and the ending is a true cliff hanger. On a lighter note, there was a small romance plot, but it only made wish this story had a stronger romance. Of course, none could eclipse the central relationship between Temeraire and Laurence. I would have immediately started Book 5 if my Kindle’s battery didn’t need recharging at home. Read December 25, 2015 on Kindle. 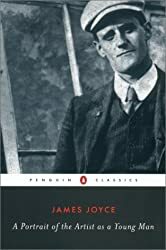 In brief, I liked Joyce’s prose right away. There is something so simple yet good in how he puts words together. However, the plot, the dialogue, and the character left me a bit wanting. I did like it in the beginning, but not much actually happens in terms of plot. You really have to relate to Stephen to enjoy it. I am not male or religious enough to have done so. This book reminded me of Catcher in the Rye, but I like this book much better. I prefer Stephen much more than Holden Caulfield. It’s a similar angsty and reflective coming of age story but this one with a much more Catholic bent. This was my first Joyce, and I do not think it will be my last. However, for a book less than 300 pages, this took me much longer than I would have liked. I hope Ulysses or Finnegan’s Wake is better, but I won’t try those out for awhile. Book #3 in this series, and I’m still not in love with Will Laurence. The pacing in this novel is better than the last one’s long sea journey. I found the overland trip interesting and the novel covered Central Asia, Turkey, Austria, and Prussia. However, reading the Napoleonic Wars for three books is making me tired. It feels longer than War & Peace at this point. I do enjoy this series, but I am finding myself dissatisfied with Laurence’s continued stuffiness. He is a good Captain, but sometimes, his incessant conservatism is annoying. With the last book and this one, they have introduced an enemy. It’s a female albino dragon whom I find myself more sympathetic with than anything. I find the characterization of the enemy lacking because I don’t really see their motivations and hatred for the protagonists. I wish there more and better written female characters in this novel. The novels are still addictive adventures. Onwards to the next book. This series is distracting because I want to read it all in one go. I even stayed up past my bed time and lost sleep reading the ending. As hinted by the end of the last book and this title, Termeraire and Laurence go to China in this novel. The first half of this book dragged for me as they spent all of on the long sea voyage. When they finally got to China, it was a lot more interesting to me. The world building and alternate history of China was well done and I though Novik even wore the Chinese politics almost as well as the many historic fiction Chinese dramas I’ve written. Fights for the throne were common and more so with dragons no doubt. 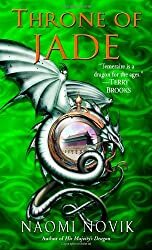 I really liked Termeraire interacting with the Chinese dragons and how he very much is a “young man” in this book when he was more of an impulsive yet keen child in the last book. While I find Laurence a good character overall, I did have a few moments where I felt like rolling my eyes at him. He really can be very stuffy. 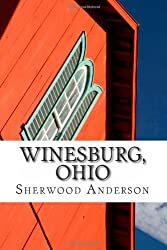 He’s given to less formality than he was before, but there was not enough direct and straight forward characters in this book to complement him. 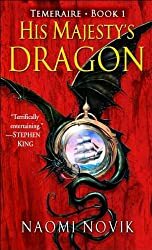 It was also more of a male dominated novel than the first time; I yearned to read more about the female dragons and female companions. Still good stuff and I went to bed thinking about having a dragon like Termeraire as my companion. I will however read other books because I’ll blitz through this series if I’m not careful. Read December 6-7, 2015 on Kindle. This was fun. I actually had to stop myself from starting the next book in the series right away. I knew if I started, I would have trouble with the other seven books in the series. My friend Kathrin recommended this series to me after I lamented the Song of Fire & Ice series did not have enough dragons. This series definitely has dragons. This book is like the Master & Commander, Horatio Hornblower books except instead of ships, there are dragons. It’s set in the Napoleonic war and offers an alternate history. Again, with dragons! They talk and are faithful to their one handler or human. The relationship between Temeraire and Laurence resembles something like lovers or child/parent. It is unique. There are not a lot female characters in this book which makes me a bit sad, but I hope there are more interactions with those that remain. I do like how noble Laurence the protagonist is. He’s very much like Horatio Hornblower. However, he needs characters to shake him loose and a well developed romantic interest. All in all, I’m really glad to have been recommended this series. It will help with the reading rut I’ve had this year and give me good holiday reading. 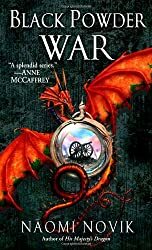 Definitely recommended for “light” fantasy lovers and those who enjoy alternate history.